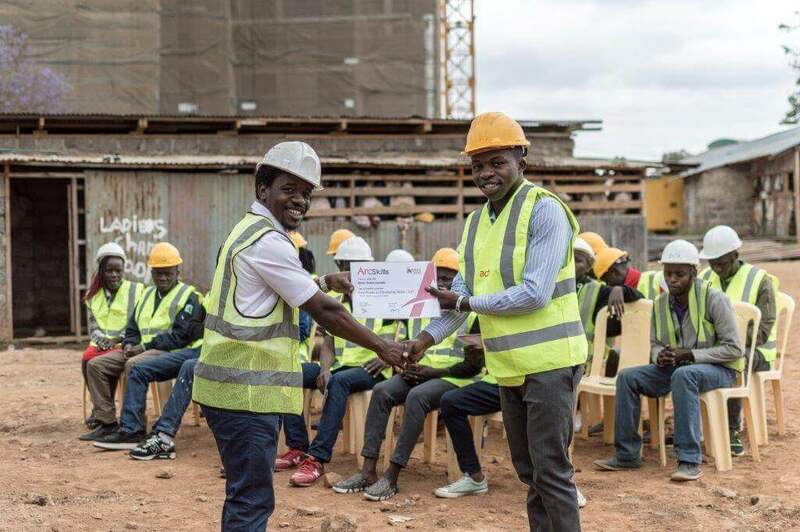 The Garden City Youth Development Program has entered its second training phase that will see 150 young trainees equipped with vital technical skills for the local construction industry. The Garden City Corporate Social Responsibility (CSR) Program is part of a partnership between Garden City developer, Actis, the largest real estate private equity investor in Sub-Saharan Africa, and Arc Skills, an international Skills Development Company with operations in Kenya. Launched in 2016, the program is designed to equip young trainees aged 18-35 in and around the Garden City area with quality, practical training that meets global standards, to help bridge the local construction market’s current skills gap. A total of 283 young men and women were trained in a range of building and construction trades during the first phase of the program and were involved in the construction of Garden City residences (215 apartments, duplexes and townhouses built in two phases, now completed and occupied by tenants and homeowners). ‘‘Trainees in this latest building phase will be part of the construction team for Garden City Business Park where they will have the opportunity to get the practical, hands-on experience they need to get their qualifications. The first two commercial office blocks are currently under construction and East African Breweries Limited (EABL) has already taken up 60% of the premium office space after signing a long-term lease with Garden City earlier this year,’’ commented Chris Coulson, Managing Director, Garden City. The first batch of 22 trainees from the new construction phase graduated today and received certification in plastering after receiving six weeks of competency-based technical training, assessment and certification from Arc Skills, the program manager. ‘‘The focus of training is on developing construction industry skills to align with the expected jobs generation profile of the Garden City developments. With this training, we want to empower youth with skills to enhance their chances of securing income-generating opportunities,’’ noted Stephen Kimenye, Project Manager, Arc Skills. The training is conducted in groups of 25 on a six-week basis and is aligned with the timeline of the on-going construction of the Business Park and skilled labour needs of the development. On completion, students receive an internationally accredited certification from the Australian Vocational Training and Employment Group (AVTEG). The vocational curriculum is based on Australian occupational standards and industry best practices and is tailored to meet both local standards and labour market needs. The mode of training is practical and modular, with the entire training taking place on live construction sites such as the Garden City Business Park.